Cystic fibrosis (CF) is a life-threatening autosomal-recessive chronic disease that is very common among people of European heritage. Cystic fibrosis (CF) is a life-threatening autosomal-recessive chronic disease that is very common among people of European heritage. Although CF is most common in individuals of Ashkenazi Jewish and Caucasian ancestry it can occur in individuals of all races and ethnicities. In order to have CF, a person must inherit two mutated copies of the CFTR gene. Individuals who have a single mutated CFTR gene are called “carriers”. They do not have any symptoms, but they may pass a mutated gene on to their children. More than 10 million Americans are CF carriers! The American College of Medical Genetics (ACMG) recommends screening for a minimum of 23 common CF variants. 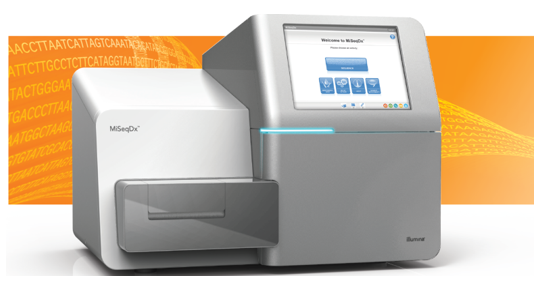 Our laboratory uses FDA-cleared MiSeqDx® Cystic Fibrosis 139-Variant Assay from Illumina that can detect additional common and rarer mutations of the CFTR gene, which are found in ethnically diverse populations of the United States The assay we use identifies 139 clinically relevant variants of the CFTR gene. This test is expected to detect at about 95% of CF-causing alleles.1 Also, the use of this assay increases the rate of detection of couples at risk of having a child with CF to ~91% of couples, compared to only 72% of couples with use of the ACMG-recommended panel of 23 variants. This test is intended for the evaluation of carrier status for 139 clinically relevant variants of the cystic fibrosis transmembrane conductance regulator (CFTR) gene, including variants recommended in 2004 by ACMG3 and in 2011 by ACOG4. This test is intended for use in adults of reproductive age. This test is intended for confirmatory diagnostic testing of newborns and children. This test is intended as an initial test to aid in the diagnosis of individuals with suspected cystic fibrosis. CAUTION! This test is not indicated for newborn screening, fetal diagnostic testing, pre-implantation testing, or for stand-alone diagnostic purposes. 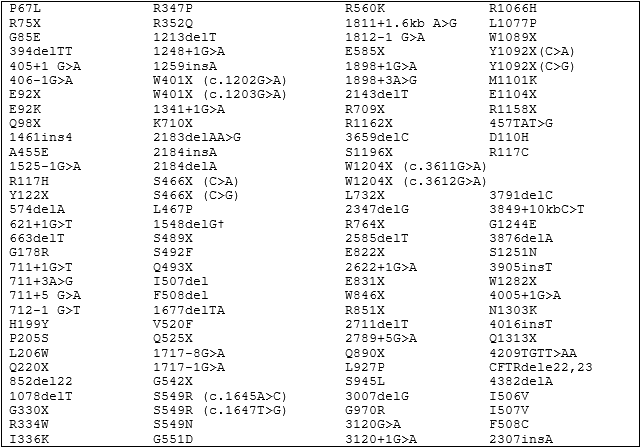 The MiSeqDx Cystic Fibrosis 139-Variant Assay is for prescription use only. 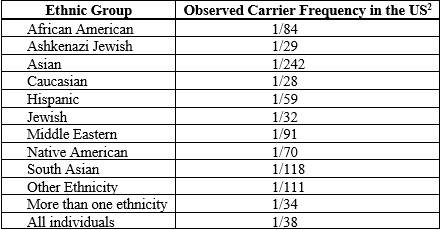 Cystic Fibrosis Mutation Carrier Frequency in Different Ethnic Groups in the U.S.